Talent can be acquired without the use of first round draft picks. Jose Ramirez was an international amateur free agent, Paul Goldschmidt was an 8th round pick, J.D. Martinez 20th round, Mookie Betts 5th round, and Giancarlo Stanton was a second rounder for the Marlins before becoming a trade acquisition for the Yankees. Still, if you go to pretty much any leaderboard, particularly on the position player side, and sort from the top, you’re going to find it dominated by first round picks. Mike Trout, Alex Bregman, Matt Chapman, Francisco Lindor, Manny Machado, Christian Yelich, and so on. And, as we know in baseball, there can be quite a bit of lag time between adding an amateur talent and their arrival in the majors. Jorge Alfaro just played his first full year in the majors and he was on seven BP 101 lists—I didn’t realize Baseball-Reference had a “Show All” expand tab for prospect list appearances, but here we are. 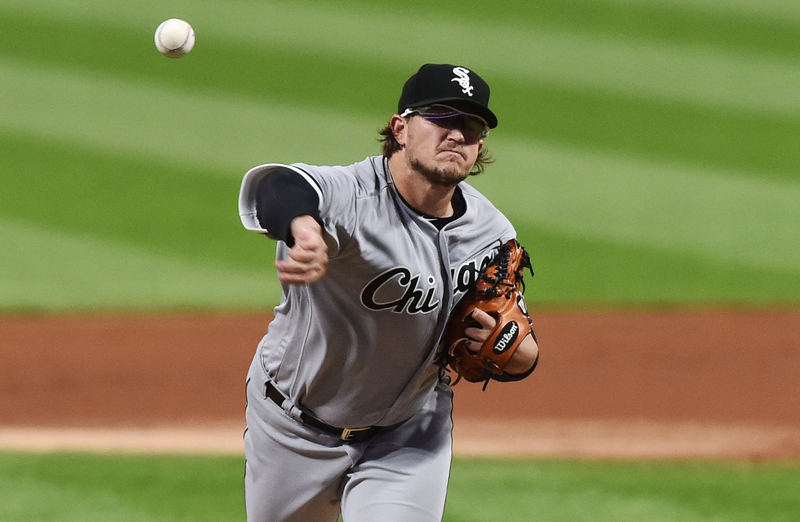 Carson Fulmer: The pros and cons were clear. Fulmer’s stuff is electric and he performed well against the toughest amateur competition, pitching for Vanderbilt in the SEC while getting good marks for his makeup. But, he did not boast ideal size, delivery, command, or a clear third pitch. The theory might have been the White Sox have succeeded with unconventional deliveries and it was a way to maybe get an impact performer out of a comparatively low draft pick. The negatives have definitely won out to date. After getting absolutely obliterated in multiple tries as a starter at Triple-A and the majors, he has now been converted to a reliever. There’s still a chance he’s an impact reliever, and today’s game makes them more valuable than they’ve been in the past, but a star this is not. You can criticize almost any team by using hindsight and look at the guys who went after and cherrypick to say, “Aha! They should have picked [Player X] instead!” Still, it is kind of amusing they didn’t even take the best high risk, high reward starting pitcher from Vanderbilt in this draft available to them. Zack Collins: Another “zig when everyone else is zagging” pick—very few evaluators gave Collins a chance at sticking behind the plate defensively, and there were a lot of questions about his contact skills. The White Sox figured they’d coached up rough catcher defense before, and if he could stay back there they had a chance at an All Star given his power and patience. At the ten spot, Collins’ ideal ceiling certainly had appeal. However, as we sit here today and like Fulmer, although hope is not lost, the negatives are outweighing the positives, as he has stalled out in Birmingham, making marginal improvements on his defense while still posting batting averages in the .230s against minor league arms. The walks are there, and the power is still pretty good, but it’s hard to say this year was a good one for his stock. He turns 24 before Opening Day next year, and one would hope someone with his power, eye, and advance college competition would be able to muster better contact against Double-A pitchers in his third pro season. Catchers are weird, and he’s certainly focusing very hard on his defense, but the probability he is a second division or bench quality 1B bat is frighteningly high. Jake Burger: Our prospect team liked Burger quite a bit—even if they thought he was a future 1B instead of a 3B. He just had a ton of batspeed and power and if you have enough of those two things you can contribute even if you have a whole lot of other problems. Still, everything was going to have to break perfectly for him to play 3B, and as soon as you are moving a prospect to 1B they have to be absolutely elite bats in order to be stars. Unfortunately, any chance Burger could string together some 3B seasons in the majors before moving across the diamond were blown up in dramatic fashion, as he tore his Achilles tendon not once but twice. There’s still time for him to get back on track, but it’s a dramatic injury and it’s unclear how much power and batspeed will remain when he returns to the field. And, as we’ve seen in recent years, the value of 1B/DH-only bats is lower than it has been in a long time. Ultimately, despite the pedigree and obvious major league tools these three picks possessed, they all bore a significant amount of risk, and it’s looking like the White Sox may have rolled snake eyes on all of them. If they continue to fail in the way they have to date, they can’t say these failures were unforeseeable, like, say, Gordon Beckham forgetting how to hit. And, the cumulative effect may be that once again the White Sox have a contender with holes where they wouldn’t be if they’d had better results with their first round picks. Maybe they can just paper over it by blitzing studs they grab at the top of the draft like Nick Madrigal and whatever Top 5 player they grab next year to the majors, but they’re tying one hand behind their back if they get minimal contributions from three selections in the Top 11 overall. The story of these three prospects is hardly over. This time next year we could be talking about Fulmer as a relief ace, Collins as the catcher of the future, and Jake Burger as a pure cleanup hitter, but if you think of each prospect as a range of possible outcomes with various probabilities assigned to those outcomes, the negative outcomes are currently gobbling up a whole lot more of the pie chart. *The White Sox had a compensatory pick and got an extra first rounder to select Zack Burdi in 2016. I don’t believe it changes the above analysis. As a pure reliever, Burdi was always going to be a member of the supporting cast rather than a sizable piece of the “Core.” The White Sox are better at it than most, but Ian Hamilton, Ryan Burr, Caleb Frare, and even potentially Tyler Johnson and others down in the minors look like late inning relievers and they did not cost the 26th overall pick.